VW rolls into mid-size SUV segment with US built Atlas for active families. 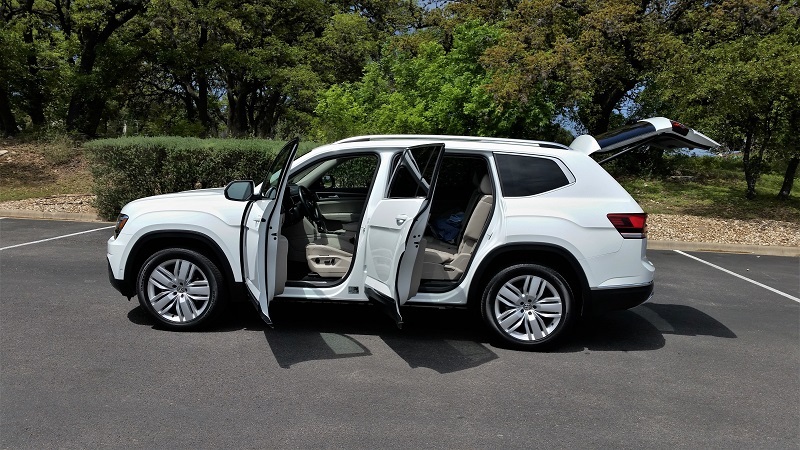 The 2018 VW Atlas mid-size seven-passenger SUV is the largest vehicle Volkswagen has ever built in the US. Available now in five trim levels – priced from $30,750 (base S FWD) to $48,740 (SEL Premium AWD) – this new and biggest member of the VW lineup presents a basic muscular design with ample proportions and the clean lines typical of VW. Some have criticized the new Atlas for its design simplicity and use of less than premium materials on the interior. We think VW has done this vehicle right, focusing on delivering a good drive with lots of functionality, technology, space, comfort and convenience for US families. 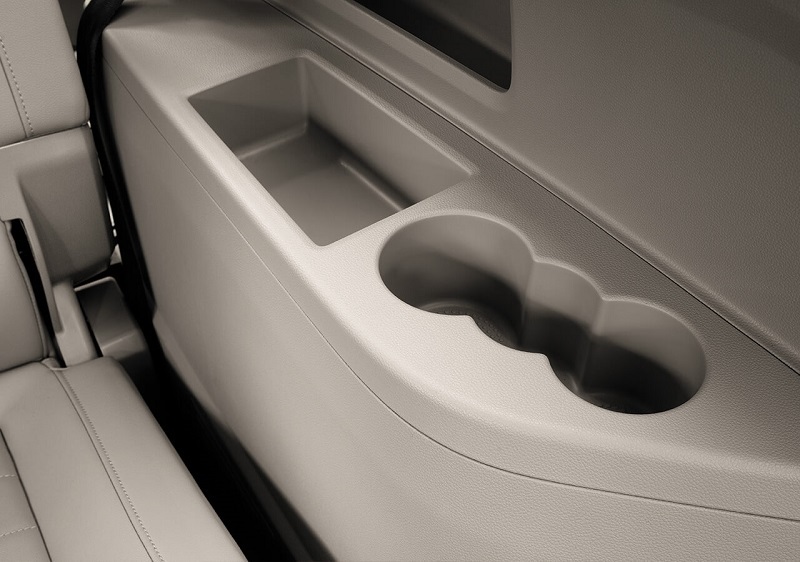 Along the way, we think they also delivered a pretty near-premium look in the cabin with those ‘non-premium’ materials. We are not alone in our thinking. Cars.com named it their ‘Best Three-Row SUV of 2017’ while MotorWeek Driver’s Choice calls it the ‘Best Large Utility of 2018’ and Good Housekeeping says Atlas is the ‘Best Mid-Size SUV of 2018’. We all can’t be wrong. Built in Chattanooga, Tennessee – Atlas rides on the VW Modular Transverse Matrix (MQB) platform underpinned with an independent suspension for all four wheels using coil springs, telescopic dampers and struts front with a multilink arrangement equipped (also) with coil springs and telescopic dampers at the rear. There are two engines available on Atlas. The base engine is a 2.0L EA888 four-cylinder turbo that produces 235 horsepower with 258 lb.-ft. of torque. It is available as a FWD only. All trims are available with a 3.6L VR6 direct injection engine producing 276 horsepower with 266 lb.-ft. of torque. All engines are mated to an 8-speed automatic transmission w/Tiptronic and Sport Mode. Atlas trims can be equipped with either engine and drivetrain (FWD/AWD) option – with the exception of the SEL Premium trim. It is only offered with the VR6 and 4Motion AWD system. 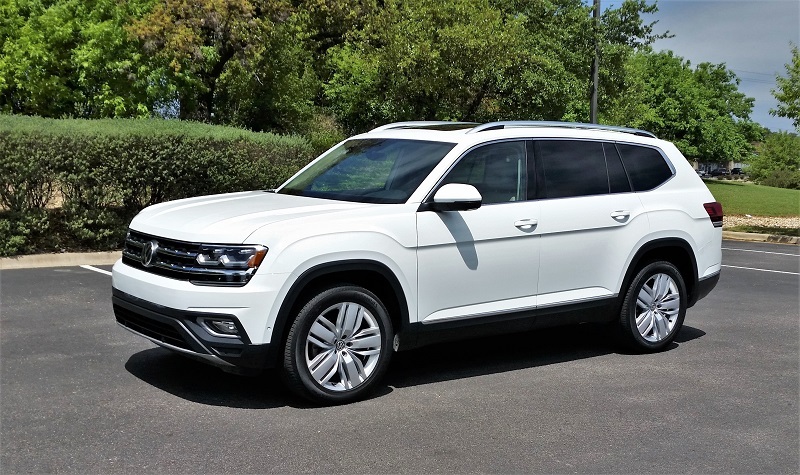 The 2018 Atlas VW Active Drive Control 4Motion AWD drive system – in this latest generation – features an advanced function (Active Control) that senses wheelspin before it occurs and, using adaptive torque distribution, adjusts power to selected wheels appropriately. Four Drive Mode settings are available including Onroad, Snow, Offroad and Custom Offroad. Within the Onroad setting there are four additional driver selections available. They are Normal, Sport, Comfort and Individual. Based on the mode selected and road conditions, they adjust throttle, transmission, steering settings and Adaptive Cruise Control along (with Hill Descent Assist and Hill Start Assist) to optimize traction and control. 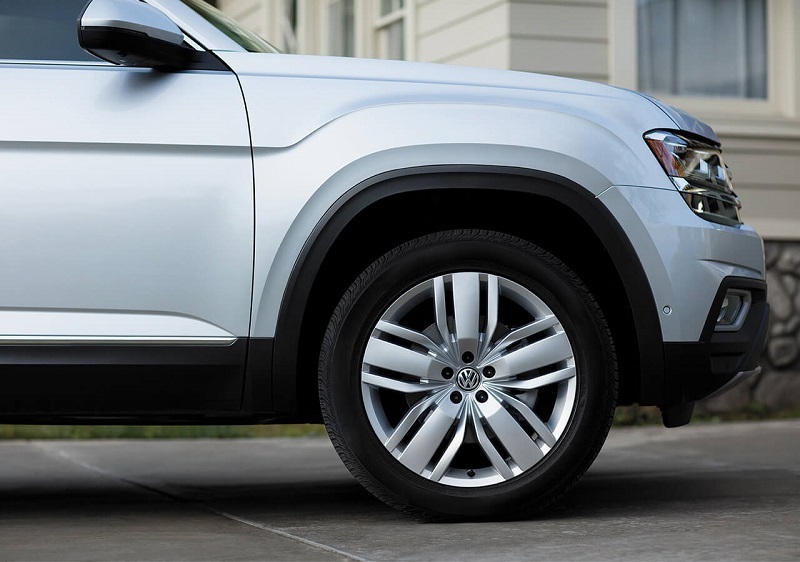 Standard wheels are 18-inch alloy with 245/60 all-season tires. The SEL Premium has 20-inch alloy wheels mounted with 255/50 all-season tires. The 20-inch wheels are optional on other trims. The Atlas braking system is three-channel ABS with electronic brake pressure distribution and features 13.2-inch vented front and solid 12.2-inch rear discs. Steering is Electric Power Assist rack and pinion with speed-sensitive variable assist. The turning circle for Atlas is a crisp 38.1 feet. 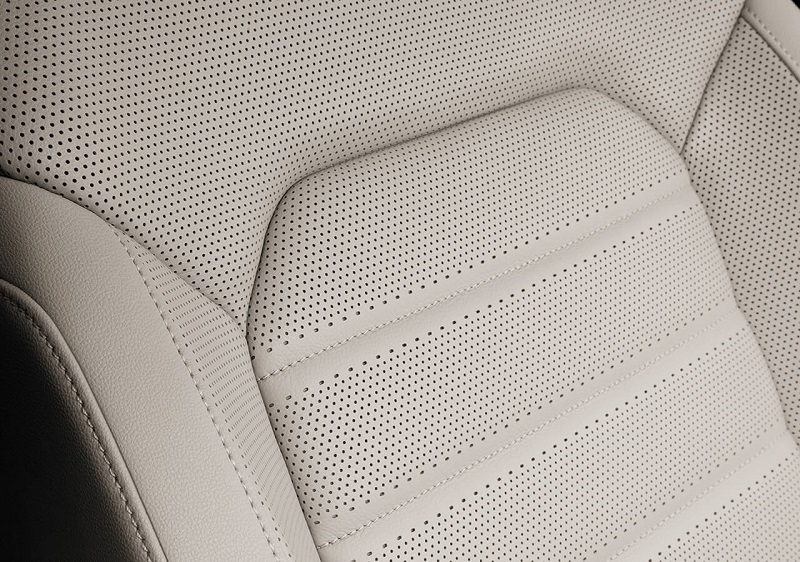 Our test Atlas SEL Premium came in a sharp Pure White exterior with a rich looking Shetland Leather interior. This premium color look outside was enhanced by power folding heated side mirrors with puddle lights, automatic LED headlights, LED taillights, LED daytime running lights, heated rain-sensing wipers with heated washer nozzles, roof rails and a power tilt/slide moonroof. Equipped with the VR6, 8-speed automatic transmission and Active Control 4Motion AWD, the fuel economy rating is 17/23 mpg city/highway and 19 mpg combined. We found after about 400 miles of highway and around town driving, that was pretty much spot on. With an 18.6-gallon fuel tank, highway range is about 350 miles. Inside Atlas came with keyless access, remote and push-button start, three-zone climate control, leather seat surfaces front and outside positions second row, heated leather-wrapped steering wheel with multi-function controls, heated and ventilated driver and passenger seats – 10-way power driver and 8-way power passenger. The second row was 60/40 split with recline and access slide and third row 50/50 split that folds flat. 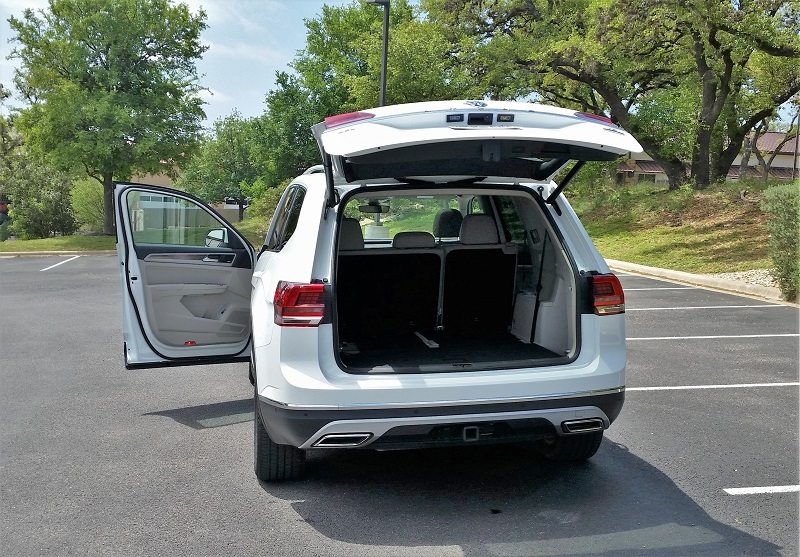 For easy cargo loading Atlas has a remote power rear liftgate w/ handsfree easy open and closing assist. 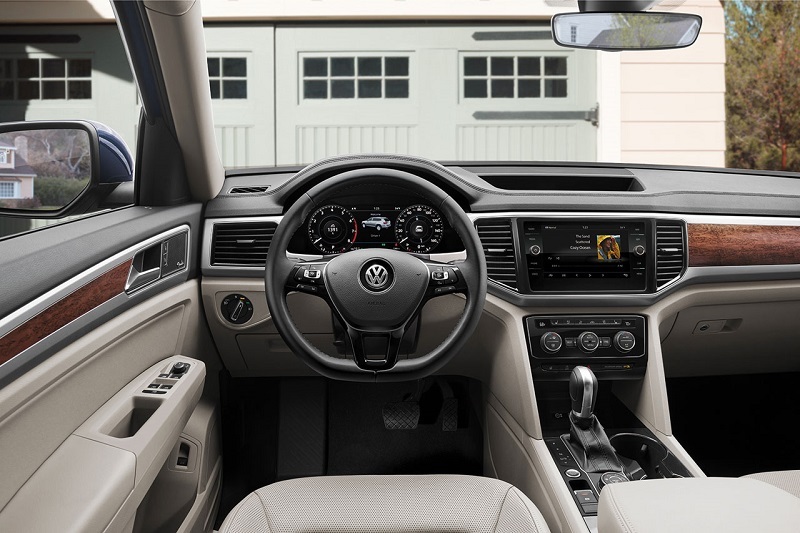 Technology and safety features included the VW Digital Cockpit (replaces traditional instrument cluster with 12.3-inch digital display), VW Discover Media 8-inch (new) Touchscreen Navigation System w/ AM/FM/HD/SiriusXM Satellite radio, Bluetooth connectivity and CD. Other features were the Rear and Overhead View Camera, Adaptive Cruise Control, Forward Collision Warning w/Autonomous Emergency Braking and Pedestrian Monitoring, Park Pilot Park Distance Control and Steering Assist, Blind Spot Monitor with Rear Traffic Alert and Lane Assist Control. Atlas is also equipped with the VW Connect and Car-Net System (see link below). 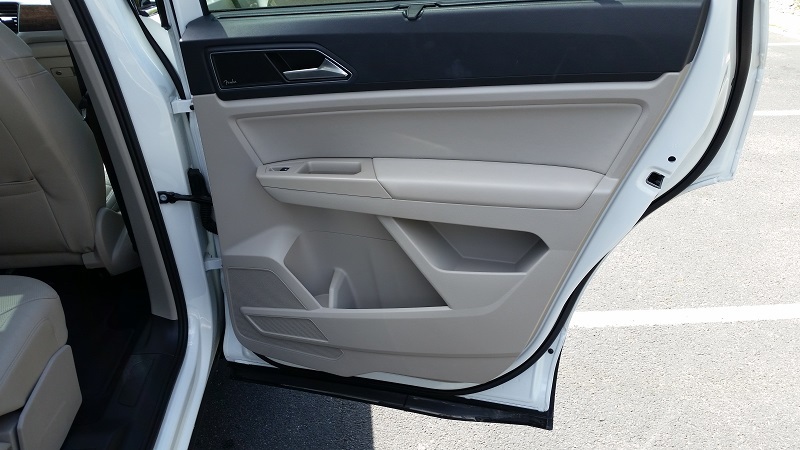 We would call out the (exclusive on SEL Premium) very nice ambient lighting system that runs along each door and across the middle point of the dash. We found it to be perfect cabin lighting for at-night driving. 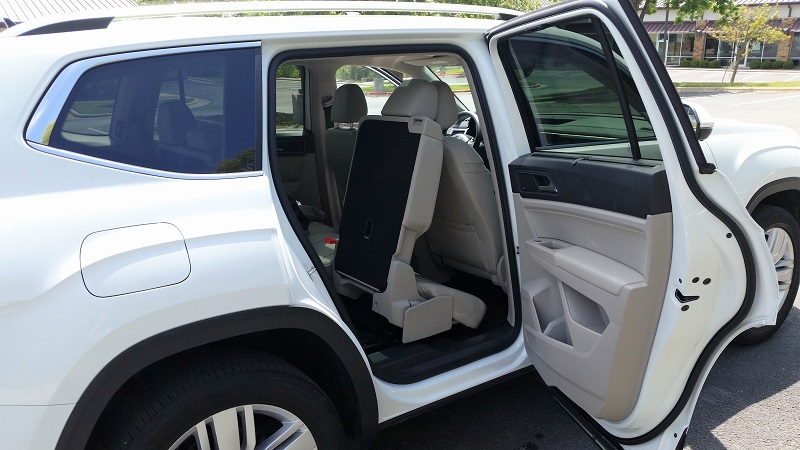 Also worthy of call out is the second-row seating system, with window sunscreens, that offer a 14-degree recline, a 7.7-inch front/rear access slide range (each side) and unique folding system that enables seat adjustment for third row access without removing child seats. Head room for all three rows is very good as is the legroom in rows one and two. Third row legroom is ‘officially’ a bit short for us, but when factored for the slide feature of the second row, it adjusts nicely for full-size folks. With rows two and three folded down, Atlas cargo space is very large at 96.8 cubic feet. 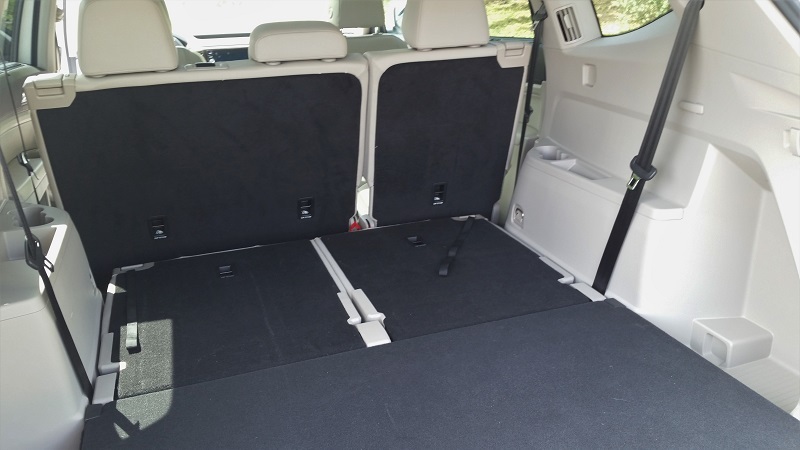 Behind the second row it has 55.5 cubic feet and behind the third row, it offers 20.6 cubic feet of storage. 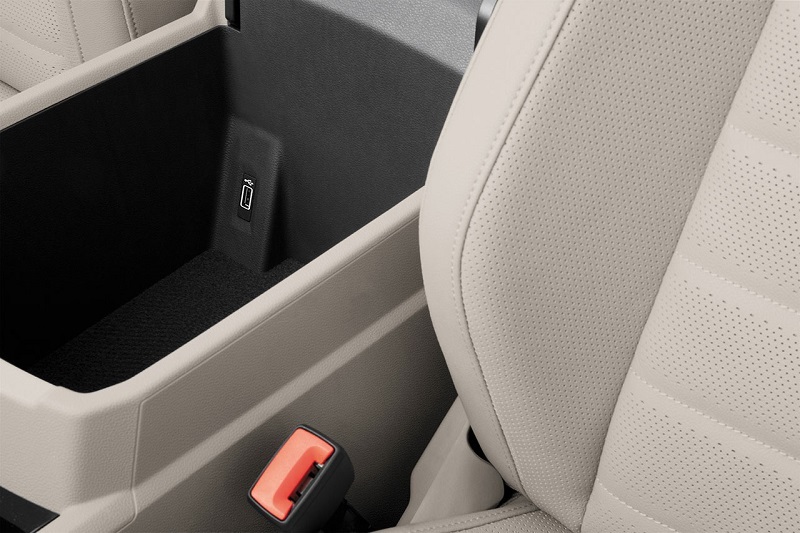 Of particular note are the deep recessed ‘cubbies’ each side of the cargo floor to place items and keep them from moving around. Atlas also tows when powered by the VR6 and delivered with a factory installed trailer hitch. The 5,000-pound capacity enables active lifestyle families to bring along a trailer the likes of an Airstream Sport, Basecamp or the new fiberglass Nest. Impressive also is the Fender Premium Audio system (exclusively standard) on our SEL Premium. Designed for the Atlas, it features a powerful 480-watt/12 channel amp and 12-speakers. Speakers are artfully placed to maximize sound quality and include a center channel speaker, woofers in each door, tweeters in the first and second row plus two wide-frequency speakers and a subwoofer in the third row. Plenty of additional connectivity was available in the form of multiple USB ports, 12V outlets and a 115V power point. 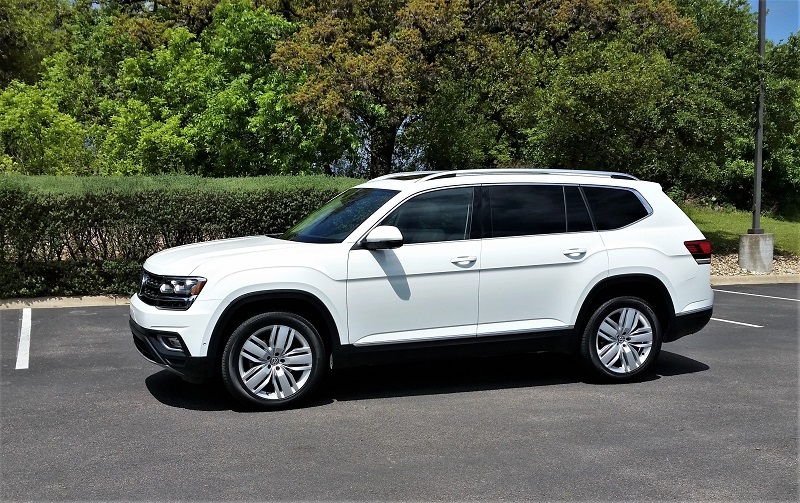 With delivery and prep, our test 2018 VW Atlas SEL Premium w/ 4Motion AWD priced at $49,415. Some KEY words; Airstream, Airstream Nest, Airstream Basecamp, Airstream Sport.